After enjoying extreme rock crawling for many years, I decided it was time to get competitive and join Ultra 4. So this is where I have fun and get my adrenaline fix. 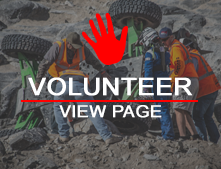 I would like to thank my wife and kids and my friends who come out to co-drive, crew, and support us in the pits, without whom, I could not be part of Ultra4 Racing.